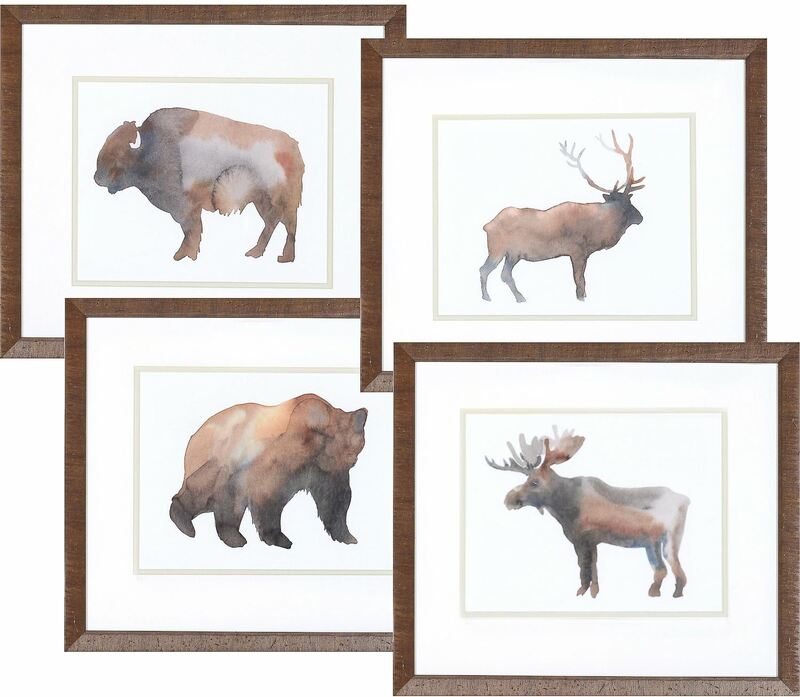 Contemporary wildlife watercolour set of four. A loose and contemporary watercolour rendering set of four including bison, moose, bear and elk. Each is doble matted with a rustic live edge frame.